Spoken word artists ages 18 and younger should submit their work, either in writing or by video, through a participating CALS branch or via email at teenpoetry@cals.org. Adults should submit via odetojoy@arkansassymphony.org. Submissions will be accepted until December 3, 2018, and should be limited to no more than three minutes long. Performers may perform original work or works for which they have secured performance rights. CALS and ASO will invite youth and adult finalists to perform for a panel of judges and a live audience January 10, 2019 at the Ron Robinson Theater. At this event, performers will be selected to join the ASO on stage at Beethoven’s Symphony No. 9: Ode to Joy, February 23 & 24 at the Robinson Center. The concert will feature the Rockefeller String Quartet. Members of the quartet will introduce the pieces to be performed. This concert is part of the ASO’s ongoing efforts to play throughout the community under the leadership of Music Director Philip Mann and Executive Director Christina Littlejohn. In addition to the Capital Hotel concerts, they offer occasional free concerts at UAMS and have recently started the INC (Intimate Neighborhood Concerts) subscription series. The Arkansas Symphony Orchestra announces a three-year extension of Philip Mann’s tenure as Music Director. Mann first took to the podium as ASO Music Director at Robinson Center Music Hall on October 2, 2010. Regarded by the BBC as a “talent to watch out for, who conveys a mature command of his forces,” Mann will continue his Music Director duties by conducting up to 15 weeks of concerts including the Stella Boyle Smith Masterworks and ACXIOM Pops Live! performances, Children’s Concerts, and run-out performances throughout the state. “Arkansas has become our beloved home, and making music with the fantastic musicians of the Arkansas Symphony Orchestra has been a tremendous joy. We share a common passion in music, and I look forward to continuing this warm and inspiring relationship. I am proud of what we have accomplished together with the support of our board and administration both artistically and in the community, and am eager to build upon our shared success,” says Philip Mann, Music Director of the ASO. During the 2009-2010 season, the orchestra’s music director search process used musician and audience surveys collected after each candidate’s performance. Mann was unanimously selected by an eleven member search committee including ASO musicians, board members, and executive director. Mr. Mann’s appointment was also unanimously approved by the orchestra’s Board of Directors. As winner of the Vienna Philharmonic’s Karajan Fellowship at the Salzburg Festival, Mann has relationships with orchestras and operas worldwide: including the Cleveland Orchestra, l’Orchestre symphonique de Québec, Indianapolis Symphony Orchestra, Georgian State Opera, and the National Symphony of Cyprus. His recent Beethoven 9 was described as “Titanic” and his Canadian debut with the OSQ was dubbed by Le Soleil as a “Tour de Force,” and led to an immediate reengagement in 2013. Other upcoming engagements include the Grand Rapids Symphony, New Mexico Philharmonic,Little Orchestra Society of NY, and the Georgian State Opera. 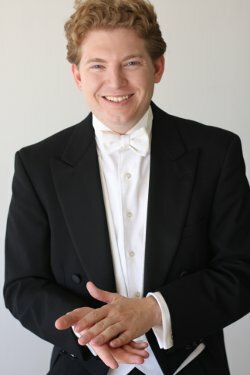 Previously, the music director of the Oxford City Opera and Oxford Pro Musica Chamber Orchestra, he has also held conducting positions with the Music in the Mountains Festival and Indianapolis Symphony. Mann has worked with leading artists such as Joshua Bell, Sharon Isbin, Dmitri Alexeev, Midori, Marvin Hamlisch and given premiers of major composers including John Corigliano, Jennifer Higdon, Michael Torke, Lucas Richman, and many others. He maintains a lively schedule as a guest conductor having conducted at New York’s Avery Fischer Hall and London’s Barbican Center. Elected a Rhodes Scholar, Mann studied and taught at Oxford, and has served as assistant conductor to Franz Welser-Möst, Simon Rattle, Leonard Slatkin, Jaime Laredo, Mario Venzago, Bramwell Tovey, Pinchas Zukerman, and many others. At Oxford, he won the annual competition to become principal conductor of the Oxford University Philharmonia. Under his leadership, the Philharmonia’s performances and tours received international press and acclaim. Mann studied with Alan Hazeldine of London’s Guildhall School of Music and Drama, Colin Metters at the Royal Academy of Music, and Marios Papadopolous of the Oxford Philomusica. He worked with Leonard Slatkin and the National Symphony Orchestra at the Kennedy Center’s National Conducting Institute and Michael Tilson Thomas at the New World Symphony. Mentorship with Esa-Pekka Salonen and Jorma Panula followed at the Los Angeles Philharmonic’s Conducting Masterclasses, and Robert Spano with the Atlanta Symphony Orchestra’s international Mozart Requiem masterclass for the League of American Orchestras annual conference. He has also worked under Imre Pallo, David Effron, John Poole, and Thomas Baldner at Indiana University where he was appointed visiting lecturer in orchestral conducting, and worked as assistant conductor at the IU Opera Theater. Additional studies came under the Bolshoi Theater’s music director, Alexander Vedernikov at the Moscow State Conservatory, Gustav Meir, Kenneth Keisler, and with Pulitzer Prize winning composer Robert Ward. He is the recipient of numerous awards including commendations from several cities, and the state of California. 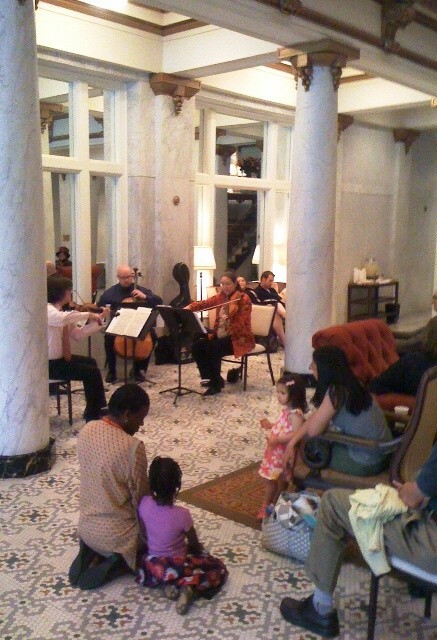 Musicians from the Arkansas Symphony Orchestra will be performing this evening in the lobby of the historic Capital Hotel. The music will start at 5:00 pm. The concert will feature the Rockefeller String Quartet performing Mozart’s String Quartet No. 19 in C Major, “Dissonance” and Theofanidis’ Visions and Miracles. The concert will feature short, accessible pieces along with commentary from the musicians.